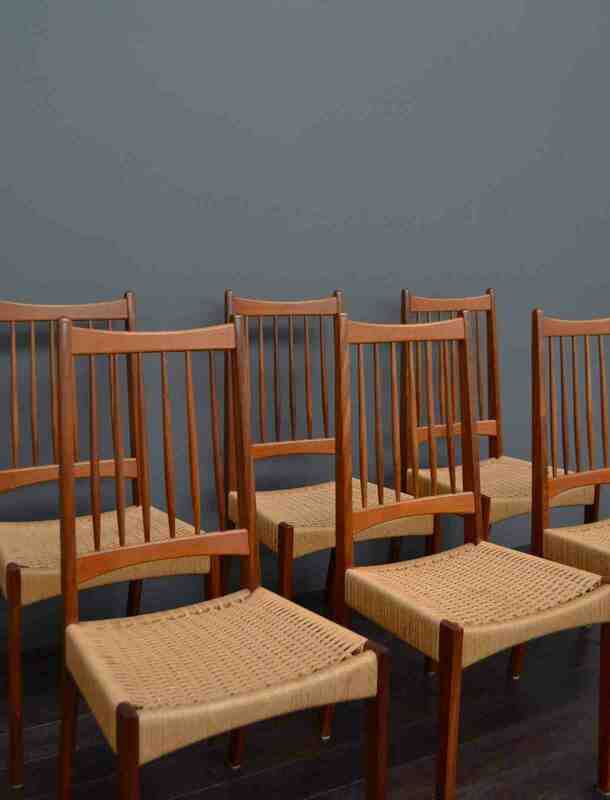 Stunning set of six Danish dining chairs. 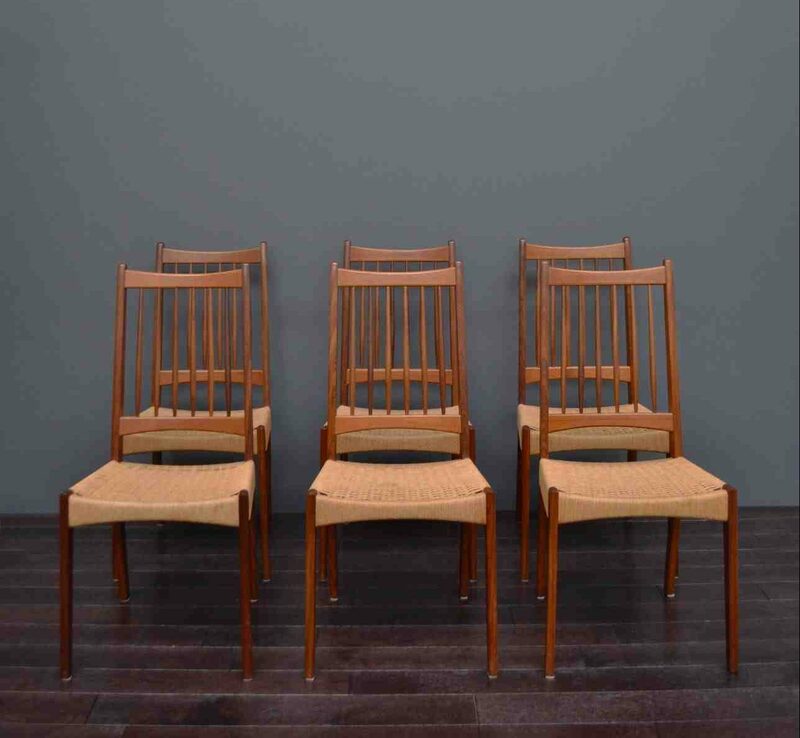 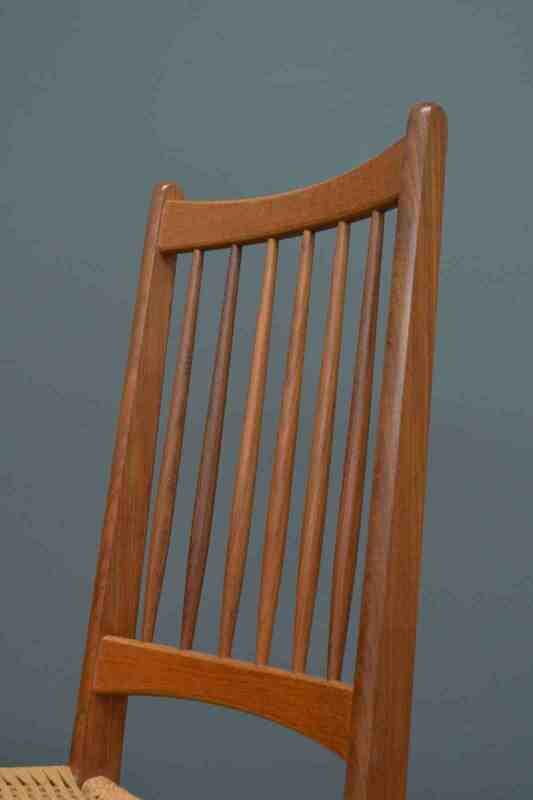 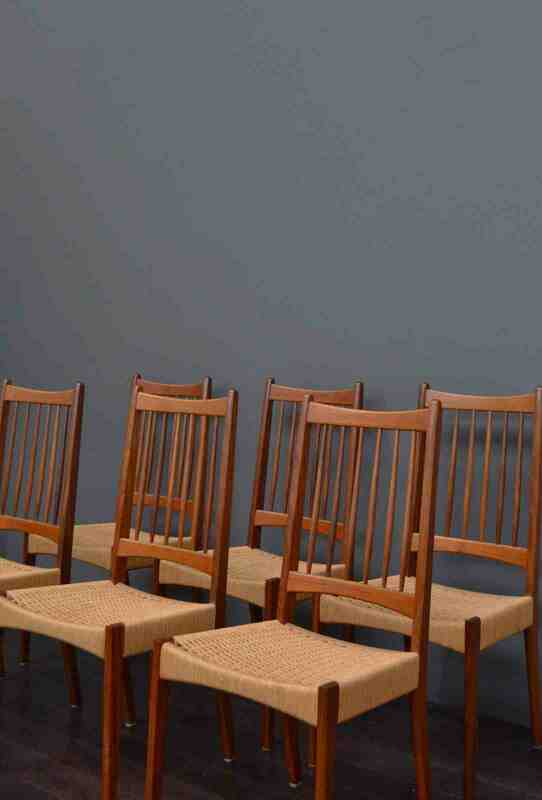 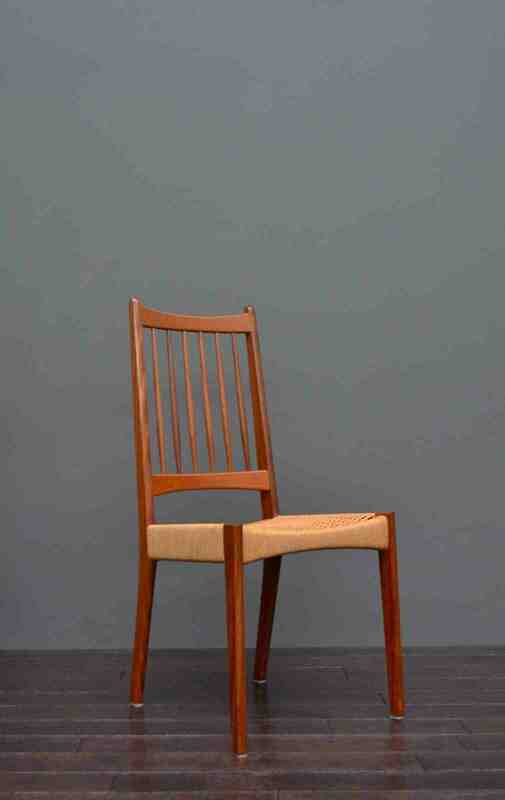 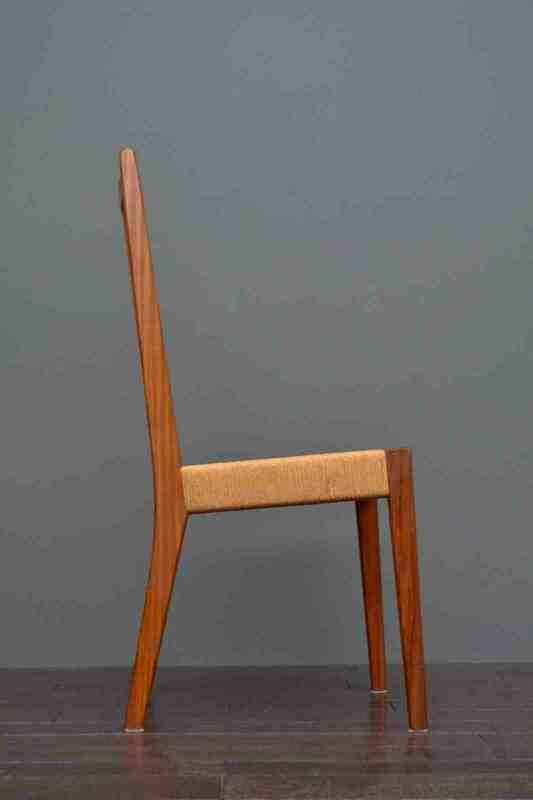 Tall and finely sculpted high back teak frames with original woven paper danish cord seats. 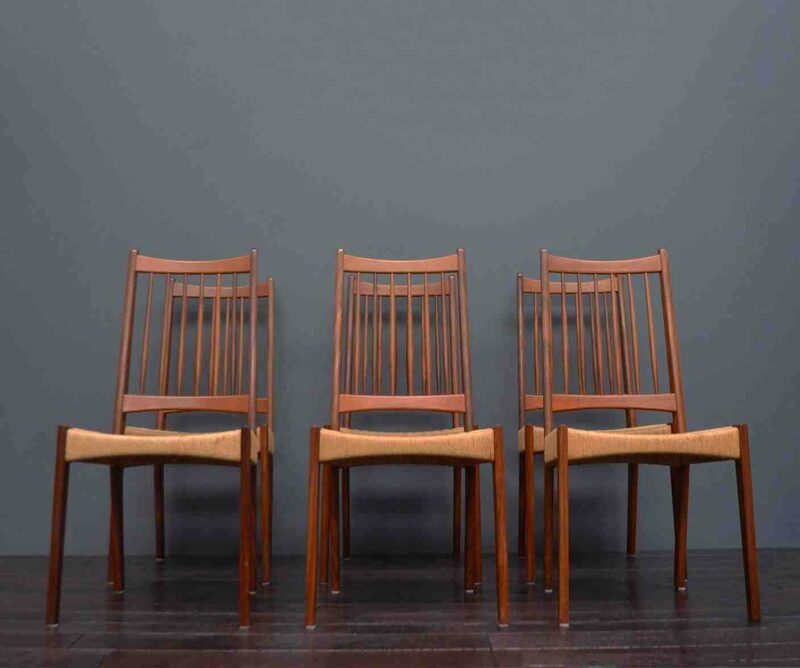 These beautiful chairs are a statement piece and very comfortable. 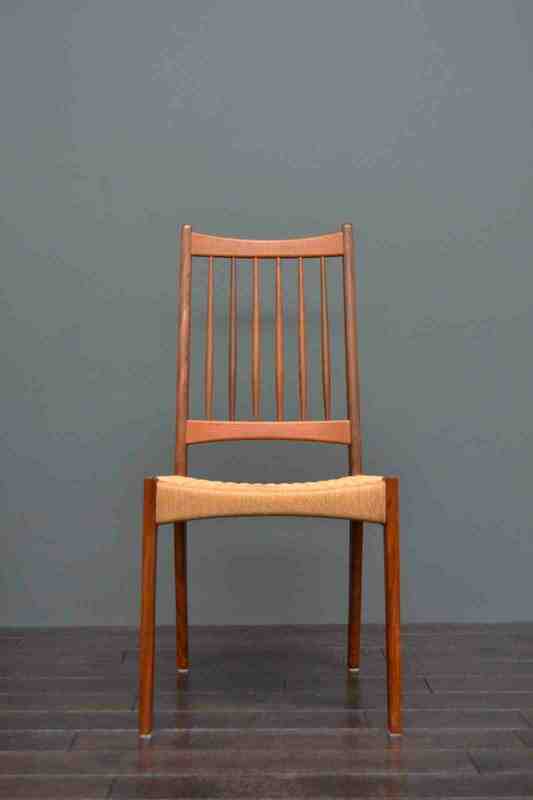 They have been cleaned oiled and polished.